LED Streetlights - Dark Skies Hope? LED Streetlamps – A new Hope for Dark Skies? 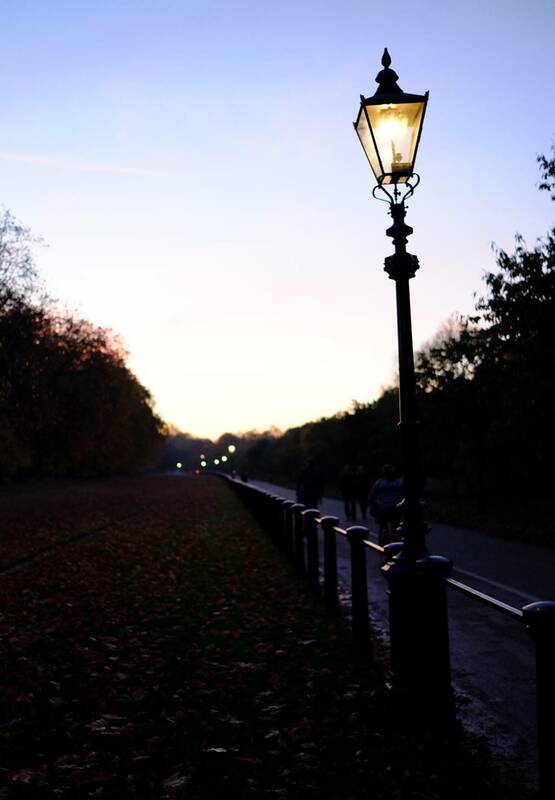 Street lamps the way they once were, nice but dim – in Hyde Park. I grew up on a curved side street of red-brick houses in a Garden City suburb, a street with large front gardens and broad grass verges. The street was built in the 1950s, but the streetlamps could have been from Holmes’ London: cast from iron and painted green, with fluted columns and curling swan necks, they were beautiful objects. I thought the dim golden glow they produced, apparently from a single incandescent light bulb in each one, rather wonderful. Below each lamp was a little pool of light with big dark spaces in between. They produced so little light that the gardens were all quite dark and perfect for star gazing. Then, sometime in the early 1970s, the council ripped my romantic streetlights out. It started on the main road. Strange tall monsters sprouted along it, giving out a weird sickly orange light that seemed to invade every nook and cranny and washed all natural colour before it. Sodium had arrived. At first I was impressed by these darkness-banishing lights up on the main road, a sign of progress. Then they came to our street and I hated them and their bilious monochrome light. By the time I got seriously into astronomy in my teens, the whole town had them. Every cast-iron streetlight had been pulled from the verges, every back street and cul-de-sac suffused with a sodium glow. I bought 7x50 binoculars, but all they showed me was more sodium in the sky. That’s how Britain’s towns and cities have been ever since. I even saw a hint of sodium creeping onto the base of the clouds at a dark sky site recently. My own skies are much less dark than when I moved here less than twenty years ago and the merest hint of haze turns the sky orange. I know some imagers love sodium – two narrow band you can filter out. But for visual it’s a nightmare and I’m sorry but to me a dark sky means one where you can see the stars. 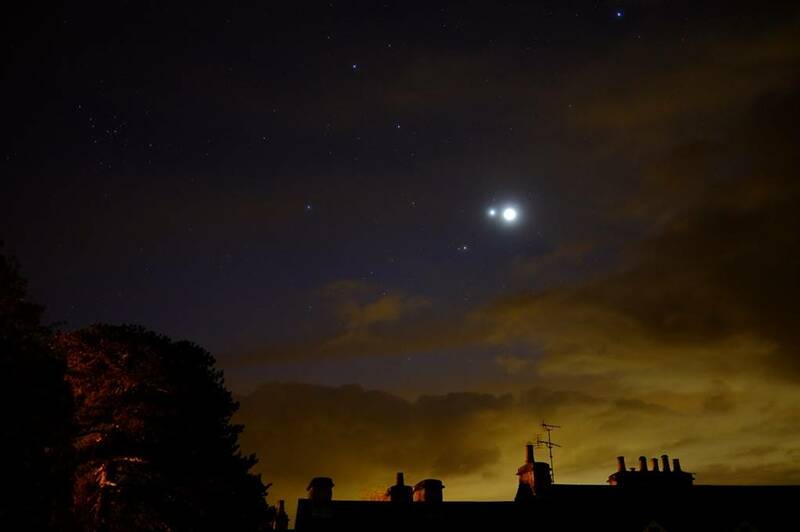 This snap of a recent conjunction (Mars, Jupiter, Venus) shows the sodium in my skies. 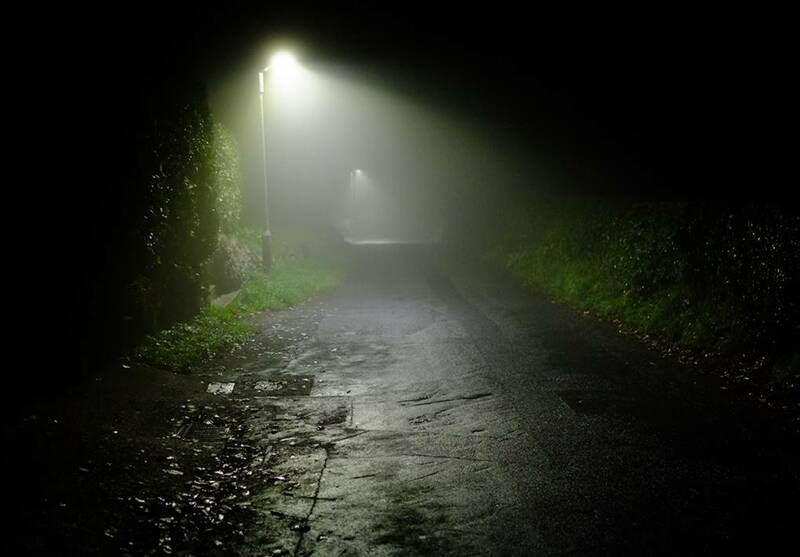 Then last year I noticed a small cluster of new streetlights down a steep lane near where I live. These lights were very different from any of the existing ones around because they only throw their light downwards. Even the capped sodium lights higher up the same street fill the trees with light and pointlessly illuminate every roof tile, but these new ones leave everything above them completely dark. The reason of course is that they use rows of directional LEDs, set into a horizontal plate, so that every photon does its job of illuminating the tarmac and nothing else (though some are still bound to bounce back upwards). I was unreasonably thrilled: overnight, the light pollution from a tiny part of one small English village was much reduced. At first I thought these new LED lights were specific to that one location, perhaps paid for by the rich residents in the big houses around to keep their bedrooms dark. Then I noticed the council were fitting the same ones in a close of new starter homes nearby. A year on and most of the sodium is gone and my skies are noticeably darker, imaging or visual. The orange shoreline lights across the bay are gradually winking out too. LED Streetlamps: brilliant illumination, but only on the road! 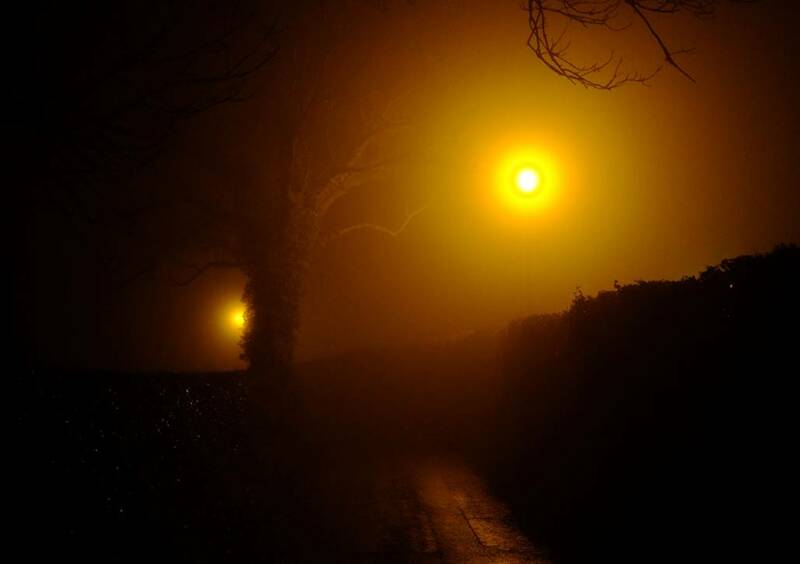 Sodium streetlamps on the same lane illuminate everything around and above, as this foggy shot shows. A few months later I noticed another change. Leaving a childhood friend’s house in my hometown late one evening, I was met with darkness: unfamiliar and profound. I thought there must have been a power cut. But as I stumbled out of the front gate and homewards, thankful for my torch, I found almost the whole town was in pitch darkness. Just a single light had been left on at each junction. My friend explained later that in the years I’d been away the council had started switching off the streetlights at Midnight. Now my hometown was so dark that it reminded me of how night-time travel must have been for the Lunar Men: much darker even than when those old cast-iron streetlamps cast their friendly silver pools. If I’m honest, though, the extreme darkness of my familiar home streets in the small hours was a bit scary. I found myself walking fast and furtive. Still, it’s great news for astronomers. I’m excited and hopeful that councils will roll these energy saving measures out everywhere to let astronomers in towns and cities view and image the deep sky – in the small hours at least. Someone working in outreach at a dark sky centre told me recently that they regularly meet urban kids who have scarcely seen a star, never mind the Milky Way. If so, that’s really sad. Perhaps, though, it’s a last-century problem that new technology will soon erase. 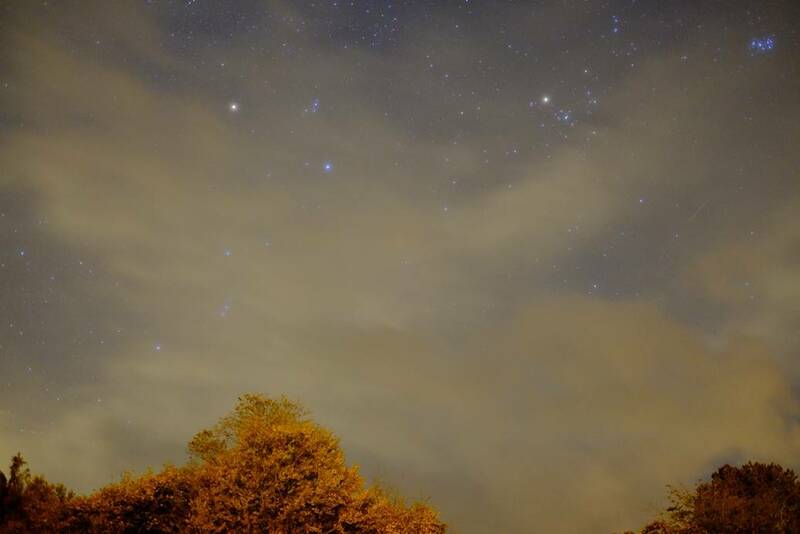 Maybe cheap-to-run LEDs will give us our dark skies back, visually at least. And perhaps whole-scale switch-offs at midnight will become more common too - something good for all astronomers, imagers or observers.